Thank You Mr. Obama | What Would The Founders Think? The government shutdown may have just cost me $300. If I thought we could get rid of Obama’s signature piece of legislation, I, and a lot of other people would happily pay ten times that amount. Every year, for the past ten, I’ve reserved a group campsite at one of the nearby national forests for the people I’ve worked with past and present. It’s become a tradition of sorts. 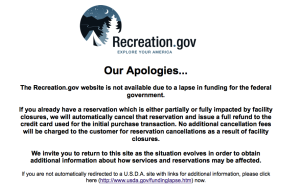 So, months in advance, sometimes as much as a year before the event, I go online to the recreation.gov website and pay to reserve a campground that will accommodate 30-40 people. Former employees come from out of state to participate in this event. So, it was with no little consternation that I received the news from my wife on Tuesday (the trip is Friday) that we would be unable use the campsite I’d already paid for. Nor could I change the reservation. 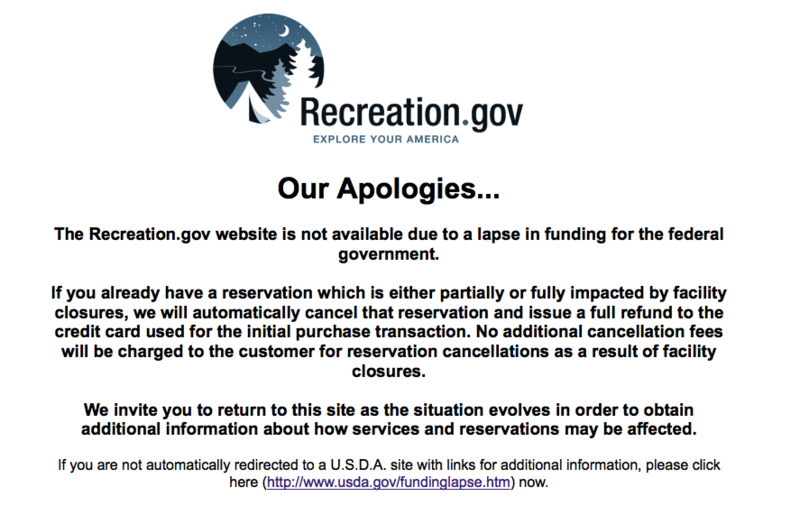 You see, the websites suddenly stop working since the electrons won’t function properly without the diligent husbandry of the federal government. This means that the government is spending money to take down government websites that actually work. Are we supposed to think that these systems require a host of government employees actively monitoring http requests and making sure that the right pages get served? Perhaps it is time to privatize. However, that’s another discussion. Now, just to make it clear, the campground is a patch of ground in the woods with some picnic tables and a couple outhouses. 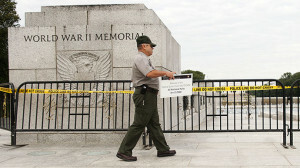 There are no government-paid men’s-room attendants, no running water, and no valet service. The ranger who called to tell my wife was very polite, but is obviously considered “essential”, since the shutdown was already in progress. (I’m grateful that he called and that 40 people didn’t show up to find a locked gate.) I don’t believe that the trees are government employees, nor the squirrels, the deer, elk, rabbits, or insects. (Nature is much too smart to work for Uncle Sam.) The National Forests are supposed to be for the public to use and enjoy. It is not the private fiefdom of the USDA. Although one might make an argument that forest rangers have to make sure everyone leaves on time, and assess fines if the campsite isn’t cleaned up properly after everyone leaves, and put fresh toilet paper in the outhouses. But this argument holds no water at all in the context of what Mr. Obama and his minions have been up to at the National Mall in Washington D.C.
MAKE NO MISTAKE – THIS IS INTENTIONAL – NOT NECESSARY. THEIR AIM IS TO PUNISH. COMMON SENSE BE DAMNED. In an NPR interview the other morning, one bureaucrat lamented their inability to completely shutdown the Capitol Mall, because “technically, they really should.” Apparently it’s not just trees, but sidewalks and grass also don’t function without bureaucracy, either. 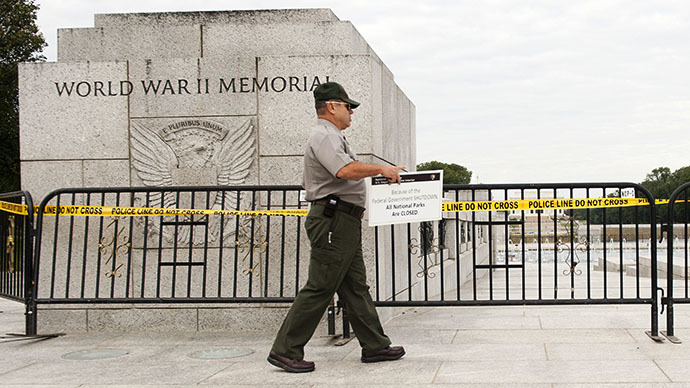 Instead “essential” bureaucrats are busily putting up barricades around an open air memorial to World War II veterans and bullying 90 year-olds in wheel chairs to keep them from trespassing. Here’s another thought, if the people responsible for threatening to arrest WWII veterans are “essential” then how important are the 800,000 people that the government, by its own admission, deems non-essential? Perhaps we should make their furloughs permanent. As for the camping trip? I was fortunate enough to find an Arizona State Park with an available group site. But for the poor veteran “honor flights”, many of these people won’t ever get another chance to visit the memorial constructed in their honor. Thank you Mr. Obama. It does seem a bit odd that some in the park service appear to work harder when things are shut down than when they are open. I have a large set of bolt cutters that predict any lock on the aforementioned national campsite is considered non-essential, and therefore could also be “furloughed”.